Namibia is a south African country that is bordered on the west by the Atlantic Ocean. In terms of land border, Namibia shares borders with a few other African countries namely Zambia, Angola, Botswana, and South Africa. Namibia gained independence from South Africa in the year 1990 after the conclusion of the Namibian War of Independence. Today, Namibia is a member of major organizations like the UN, the African Union and the Commonwealth of Nations, to name a few. 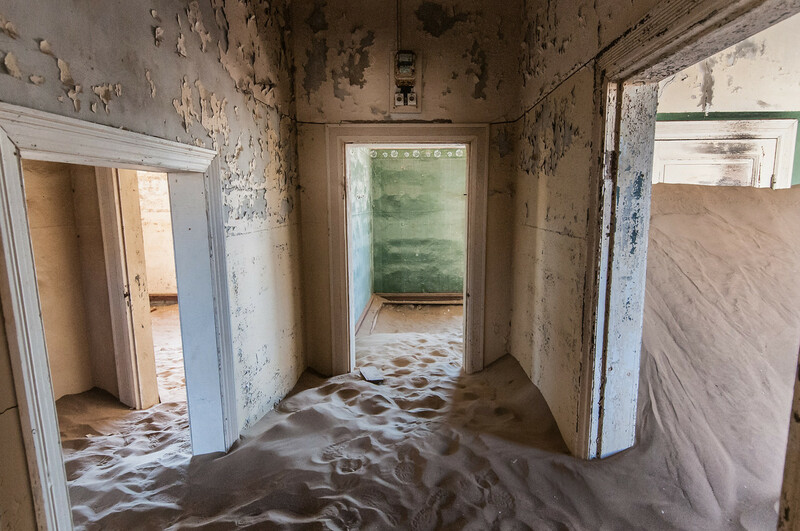 Travel to Namibia and experience the heart of Africa’s essence. There are over 2 million people living in Namibia and is run under a multi-party parliamentary democracy. The economy of Namibia is hinged on various industries including tourism, mining, agriculture and herding. The mining industry, in particular, is one of the foundations to the Namibian economy as they produce various kinds of base metals, gold, silver, uranium and gem diamonds. The Namib Desert cover a huge percentage of the total land area in Namibia. And this is an arid land that is uninhabited. This explains why Namibia is one of the least densely populated countries in the world. Official Language: English is the official language of Namibia. Wi-Fi Availability: The wireless internet speed in Namibia is considerably better than other neighboring countries. In fact, almost every town has 3G coverage. Airport/s: Windhoek Hosea Kutako International Airport is the main international airport for flights that travel to Namibia. Visa Required: There are several citizens from various countries that do not require a visa to travel to Namibia, either for travel or business purpose. You can travel to Namibia for up to 90 day-stay. Driving: In Namibia, you must drive on the left side of the road. International Driver’s License Accepted? You can use your national driver’s license in Namibia but if your license is not in English, you need to present an international driver’s license. Crime: Namibia has one of the highest crime rates in the world. The serious level of crime is attributed to the low level of life and poverty in Namibia. Crimes such as corruption, robbery, or getting mugged are highly prevalent. Electrical Adapters: In Namibia, they use an electrical voltage of 220 volts at an electrical frequency of 50 Hertz. 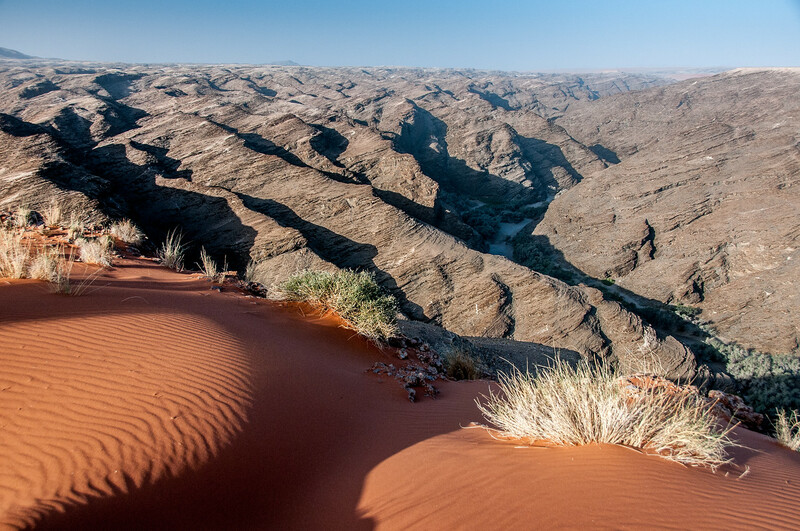 Trivia: Namibia is home to the oldest desert in the world, which is 43 million years old! There are two primary cultural strands that influence the cuisine of Namibia: influence from its colonizers (British, German and African) and indigenous cooking (from the natives of Namibia). The pre-colonial cuisine in Namibia use a lot of nuts, fruits, leaves and bulbs that were harvested from wild plants or hunted wild game. A lot of the natives in Namibia also raised their own cattle and use the meat or milk products from the cattle for cooking. 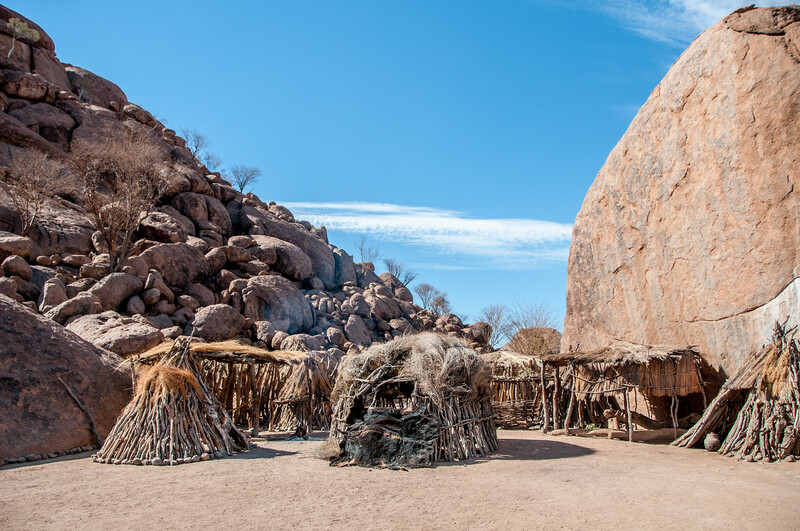 Meanwhile, the colonizers introduced a few cooking concepts to the local cuisine of Namibia that eventually shaped its overall culinary landscape. The Germans introduced the beer brewing tradition to Namibia. Aside from introducing beer, they also influenced the white Namibian cookery such as Wiener schnitzel. Twyfelfontein – This is a UNESCO World Heritage Site for its cultural importance. This is an ancient rock engraving located in the Northwest region of Kunene region in Namibia. It was used as a place of worship for the hunter-gatherers and herders since 6,000 years ago. There are over 2,500 rock carvings in the site. It was enlisted by UNESCO as a World Heritage Site in 2007. 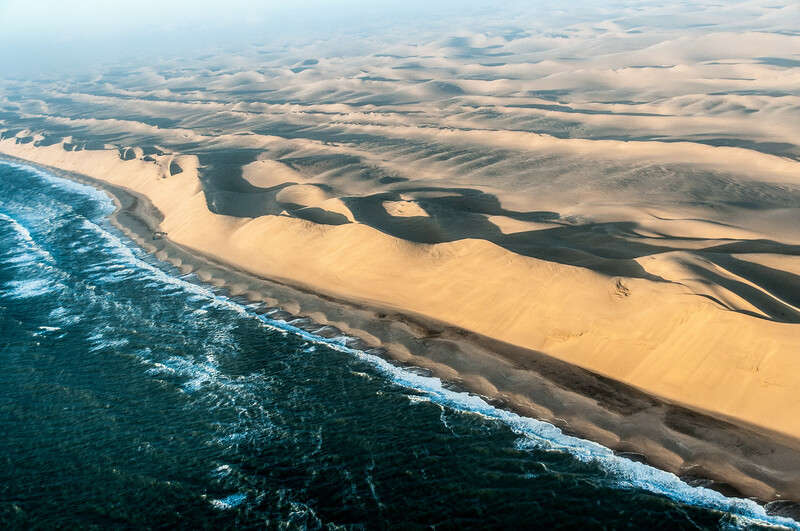 Skeleton Coast National Park – This national park in the northwestern part of Namibia is inaccessible. The park is also dotted with shipwrecks. The park spans up to almost 17,000 square kilometers and was officially established as a national park in 1971. Etosha National Park – This national park was proclaimed as a game reserve in 1907. 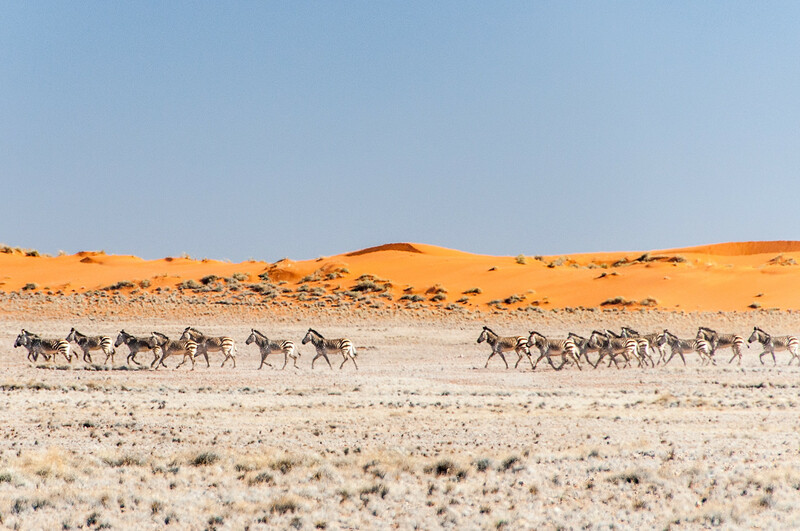 It is known as the ‘great white pan’ and is where you can find the biggest wildlife sanctuary in all of Namibia. Apart from a coastal desert, you will also find lions, rhinos and elephants in this vast landscape.